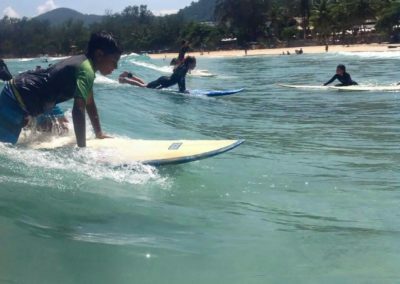 Surfers at heart are always chasing for ‘the perfect wave’ and if they see a fellow surfer riding one – they most likely get thrilled and want to try it too. Then there are those who’d like to try to go surfing – those who’ve maybe never tried it before, but feel an itch in their feet – unable to wait to get started. 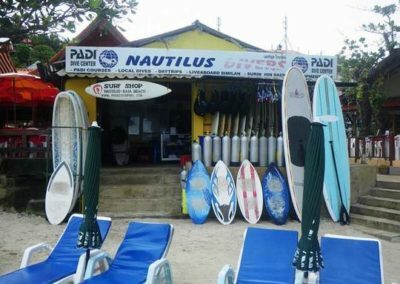 This article is for everyone who’s been considering going surfing before, but never took the decisive step to the beach, to get on the board and learn the skills. For the skeptics, this article will also describe what benefits you could take away from going surfing. 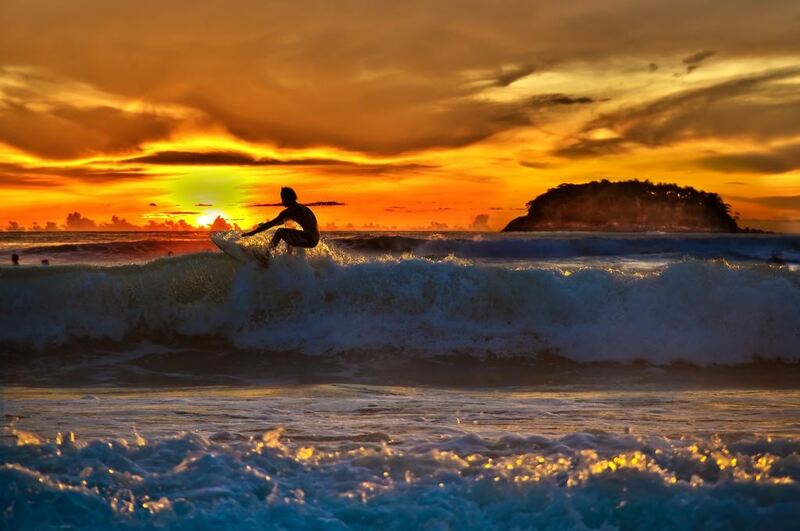 Surfing is one of the most engaging forms of water-sport around. The act of riding the face of a wave may look simple (or unachievable) to outsiders, but in reality it takes a lot of time and effort to master the skills needed to be able to surf well. 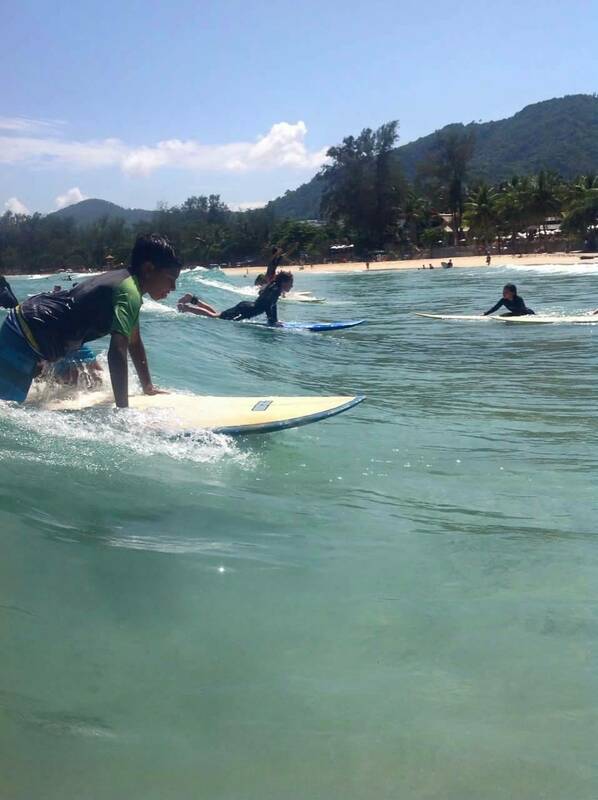 Surfing is a fun and challenging activity that engages both the mind and body. It is a total workout that includes the entire palet of what people look for when it comes to health and fitness. 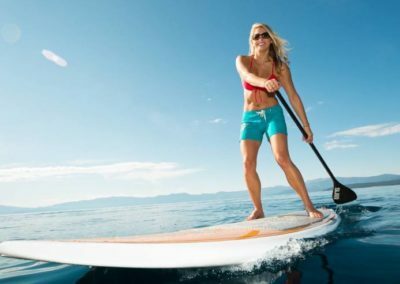 Paddling for waves and standing up on a board will be sure to benefit cardio, strengthen your upper and lower body, and improve core strength as well as your flexibility. Plus, the satisfaction of catching waves is an addicting experience. If you’ve ever met a surfer, you probably already have a pretty good insight into the health-giving effects of this exhilarating sport. Many surfers don’t look their age – and they often have a youthful exuberance and a positive view of life that’s backed by seemingly effortless strength, poise and athleticism in the water. First and foremost, no matter what the photos and videos lead you to believe, surfing mostly consists of paddling. A lot of it. You will need to paddle to get out into the lineup, get out of harm’s way, and most importantly— to catch a wave. This is the cardiovascular aspect of surfing. 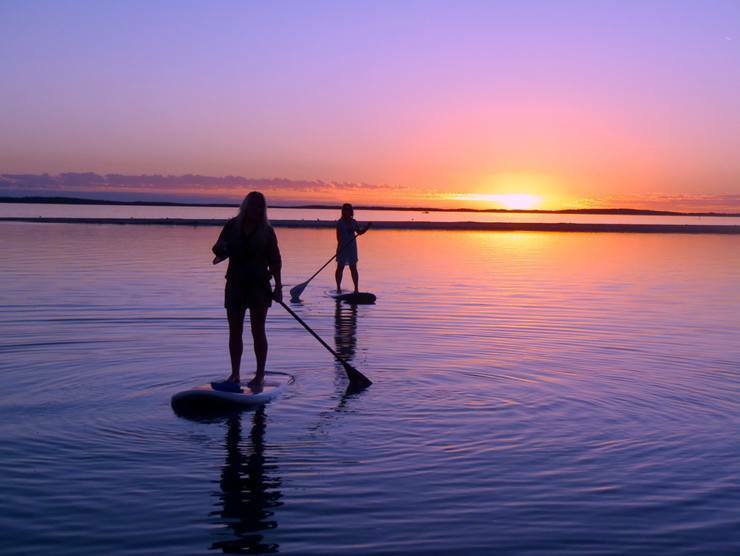 Paddling for hours on end is sure to increase your endurance and to tone your muscles. In particular your arms, shoulders and back are the main muscles targeted by paddling. Keep in mind however that paddling a longboard and a shortboard are two different things. 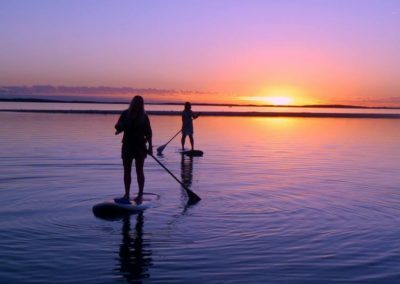 Longboards are much easier to paddle than a shortboard though, and the workout that you’ll get directly corresponds to that. Upon catching a wave, your body then shifts to the act of balancing, which engages you head to toe. The key to all this however, is the much talked about core muscles. Surfing is sure to target these series of muscles required to execute manoeuvres. Surf basics such as the pop-up, the turn and properly positioning yourself on the board all require a strong and stable core in order to harmonise your entire body when executing these moves. 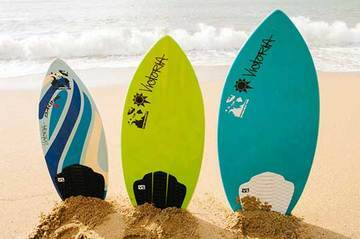 The same goes with more advanced surfing skills such as the bottom turn, off-the-lip snaps, cross steps and hanging on the nose. The final step to the art of surfing is being able to stay on the board. This may sound simple, but in reality, a great deal of leg strength is required to be able to achieve this feat. All in all, the physical aspect of surfing calls for strength, flexibility and endurance. 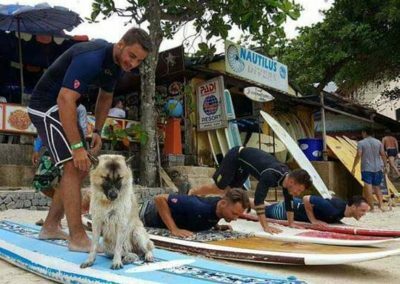 As you progress in your ability to surf, you might find yourself encouraged to explore different cross training methods to keep improve even further. Some suggestions that are conducive to surfing are yoga, using a balance board and running. You may have heard of the expression “being in the moment” thrown around quite often when it comes to surfing. As a physical activity, surfers have learned all too well that being in the moment is a mental prerequisite of the sport. Being in the moment will help you read waves and to learn proper timing when it comes to manoeuvres. But most importantly, this frame of mind will allow you to enjoy the art of surfing as it happens. Surfable waves are produced as part of nature’s grand design, and not at the beck and call of us humans. This part of surfing will improve patience and bring along a sense of appreciation when a swell comes along. Surfing does bring people together. One of the joys of surfing is being part of a community of likeminded individuals that come together in the lineup to enjoy riding the waves. Making friends, much like exercise, also has a lot of emotional and mental benefits such as reducing stress by giving you a sense of belonging, self-worth as well as confidence. 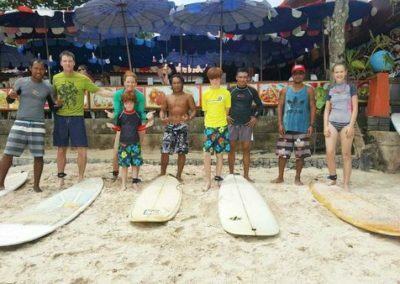 Despite negative publicity associated with surfing, surfers are some of the most easygoing and accepting people on the planet. 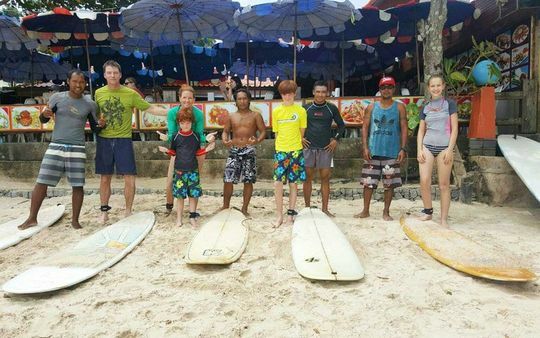 Bring a generous, respectful and accepting attitude when it comes to surfing and you can expect to be repaid in kind. So what are you waiting for? Go grab a board and catch some waves and find out for yourself what the physical, mental and emotional rewards that surfing can give you.